Looking to fix up your garage or change its style? From Precision Door, here are some ways to change it up in the new year! No one wants to be caught out in the cold with a broken garage. 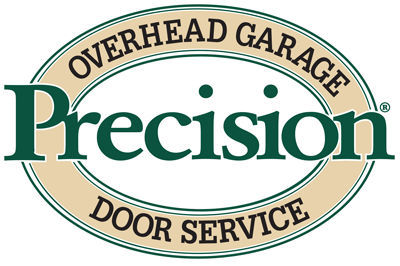 From Precision Door, here are some tips to keep your garage in perfect shape this winter. Like your car, your garage door is a heavy piece of machinery that needs maintenance. From Precision Door, here are the benefits of annual maintenance. When it comes to garages, simpler is usually better but sometimes, some upgrades are in order. Learn more here, from Precision Door of Salt Lake City. Smart technology now applies to your garage door and opener, allowing you to customize a system that works for you, from Precision Door Salt Lake City. Sometimes the very thing that's supposed to protect your car, is the thing to damage it! Here are a few ways to prevent it. From Precision Door Salt Lake City. Want to create the perfect man cave, but not sure where to start? Let us help! Here are our tips to get you started, from Precision Door of Salt Lake City. Finding enough storage in your garage can be tough. Let us help make it easier! Here are our tips, from Precision Door of Salt Lake City. Always losing your garage door opener? Turn your phone into one and never forget it again! Learn how from Precision Door of Salt Lake City. Need more storage? A work space? Perhaps a man cave? A 1.5 size garage may be just what you need. Learn more here, from Precision Door Salt Lake City.